The price we all pay when we ignore our truth tellers while often too great to bear, is difficult to measure until it’s too late to matter. But as with many truths, denial is the path of least resistance many of us choose to walk, especially if we internalize the myth of separation that whispers sweet apathetic nothings of complacency in our ears. And what could be easier to deny than a problem we rarely if ever see? 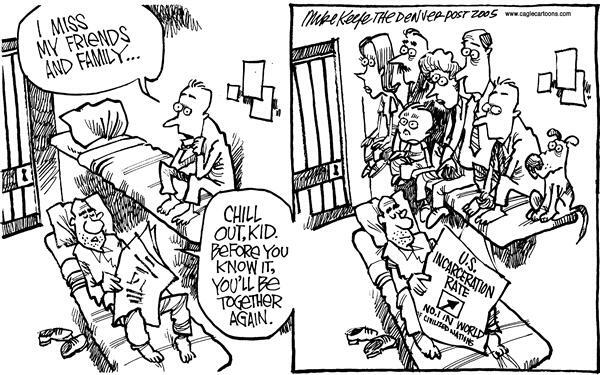 Its too easy not to care about our prison population because we have no proximity to them. Unless we ourselves are in prison, we will never be directly confronted with the 2.4 million Americans serving sentences in penitentiaries. America leads the world in few categories, but per capital incarcerated citizens is one of them. There are many reasons for our obsessive incarceration, but the late Dr. Martin Luther King Jr. was able to see the underlying causes nearly five decades ago. Martin warned us of a triple threat so insidious that it jeopardizes the very fabric of our precious republic. 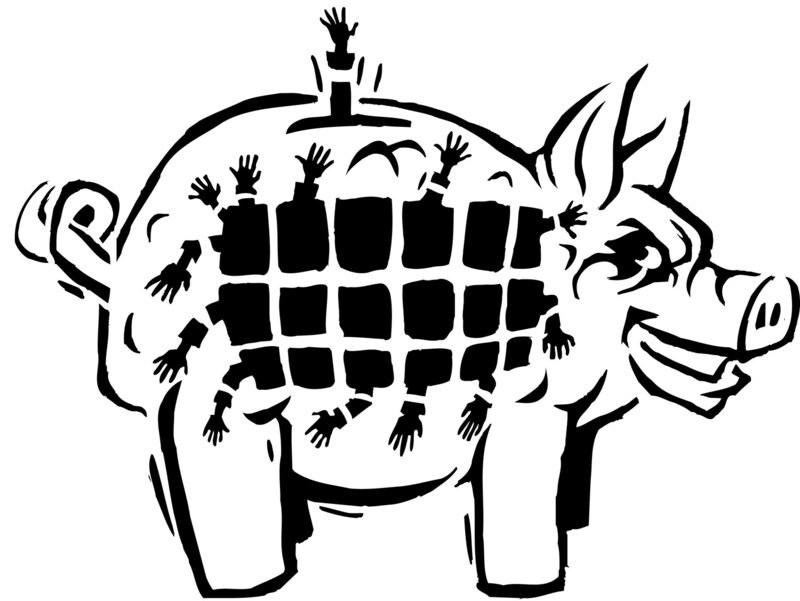 That triple threat was the three-legged monster of racism, poverty and militarism. This triple threat results today in the imprisonment of more black men than were enslaved in 1850 – and it isn’t merely a relative increase with respect to population growth, because the population of our prison population has increased disproportionately to the population of the country. Since 1970, America’s overall population has increased by 55.48%, but America’s prison population has increased by 700% over the same period of time according to the ACLU. 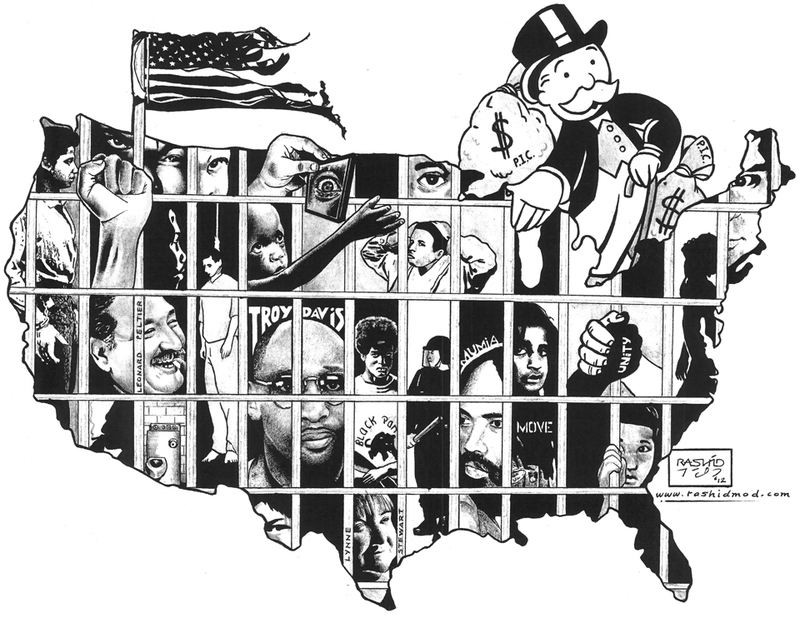 America imprisons more people than Communist China! 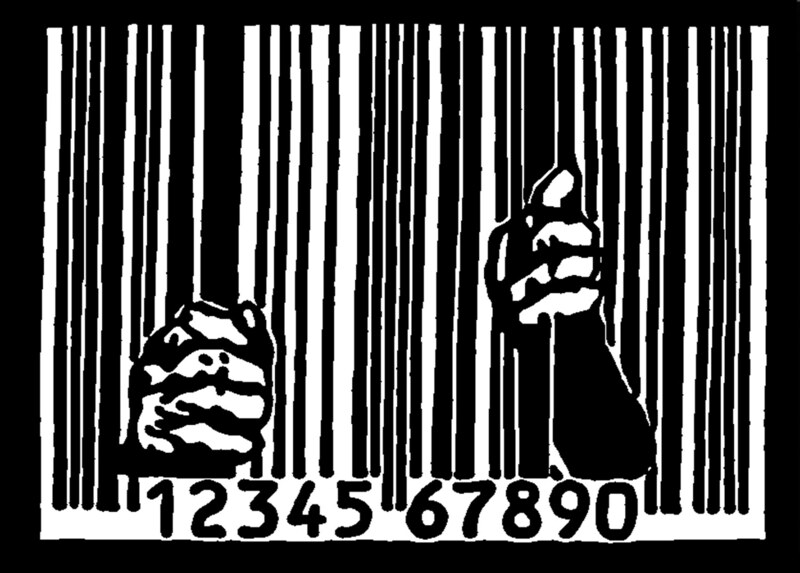 Most of us are unaware that the rapid Privatization of prisons by companies like the GEO Group or Corrections Corporation of America results in that taxpayers only pay for the cells that don’t have prisoners in them. That’s right – if there are empty beds, taxpayers pay the price, thus turning empty cells into a financial disincentive. But most shockingly, we are grossly unaware of the degree of involuntary servitude our 2.4 million prisoners are subjected to, and even less aware of which corporations benefit from prison slave labor vicariously through subcontractors. But the scope this exploitation isn’t merely limited to individuals serving sentences in the Prison-Industrial-Complex. According to Sadhbh Walshe there are twice as many individuals currently serving correctional supervision such as parole and probation, paying for urinalysis testing and probation fees. And the 5 million Americans on state supervision are among a sector of the population that is growing even faster than the population of our citizens incarcerated within ‘correctional’ institutions. Of course there is a tendency in this country to simplify these issues. So often we’ve heard, “Don’t do the crime if you can’t do the time,” as though the corruption of our public institutions and the militarization of our police forces will go unnoticed to you if you simply follow the rules. But there are many punishable offenses which are not, strictly speaking, crimes. it isn’t difficult to see how we got here. Many politicians depend on the perception of being “tough on crime” to get elected, which all-too-often translates to vapid attempts to legislate morality, and correct societal ills by means of criminalization rather than compassionate reason. Heroin addiction is not a crime -it’s an illness, and a public health problem. Homelessness is not a crime – it’s a symptom of poverty amid an economic atmosphere so desperate that 47 million Americans depend on food stamps, 40 million Americans are below the poverty line, and 600,000 homeless Americans sleep out of doors on any given night. Nevertheless, it is in the establishment’s interest to perpetuate “tough on crime” slogans by means of exaggerating crime rates in the media. Crime rates in America are as low as they’ve ever been, but the reporting of crime in the mainstream media is more fanatical than ever before. When combined with cop dramas like CSI, Criminal Minds, and Law & Order that depict pathetically cartoonish portrayals of the world outside, the media’s overreaction to the reporting of crime perverts the collective psyche of America to the point that fascism seems normal. So if violent crime is so low, then why are more people than ever entering the prison population in America? In terms of what is considered legal and what is illegal in this country, we would be wise to heed the words of Martin Luther King when he reminded us that, “We should never forget that everything Adolf Hitler did in Germany was ‘legal,’ and it was ‘illegal’ to aid and comfort a Jew in Hitler’s Germany.” If that seems like an extreme example, I invite you examine a small sample of some of Ameica’s more ridiculous statutes, which have created a climate where it is illegal to collect rainwater in Colorado, Utah and Washington, it is illegal to consume raw milk in 17 states, and federally it is not only still illegal to possess the ancient medicine we know of as Cannabis despite overwhelming public outcry, but 15 million Americans have been arrested for Cannabis possession since 1970. This is just a tip of the iceberg when we consider all of the additional fines and citations accumulated by millions of Americans every day for inconsequential and often petty, technical offenses, such as traveling 5 miles over the speed limit or failing to come to a “complete stop” at a signal. And now the paranoid atmosphere of the Terror War further ensures that the divide between the crowbar hotel and the so-called free world is often only one honest mistake away. But the height of America’s legal absurdity comes into view vis-a-vis the hypocrisy of Nixon’s War on Drugs, which rages on to this very day. The next profit margin is enjoyed almost exclusively by police unions and other law enforcement agencies who bust the users and distributors on drug crimes, imposing fines and seizing property. In fact, the American racket of seizing property without convicting anyone of a crime known as Civil Asset Forfeiture accounts for nearly $2 Billion in police revenue annually. This is especially alarming when we consider that more than half of the people in prison are in there for drug-related reasons. Today’s drug war is not only a conglomeration of the three legged monster of Racism, Poverty and Militarism that Martin Luther King warned us about, but is a war that has been perpetuated to lay the groundwork for today’s American Gulag Archipelago. A vast network of prisons that rivals any concentration camp complex ever known before. Though they’re only caught occasionally, these kinds of operations are business as usual for American institutions, and documentation for these kinds of cases exists as far back in the historical record as you care to go. The line between legal and illegal seems to be more of a matter of one’s bank balance than of evidence-based assertions in the name of justice. And it follows that in the pervading ideology of gangster capitalism, the ownership class are not fond of anyone who spills the beans on their schemes, nor of individuals capable of rallying the public toward rejecting the tyrannical despotism crawling all around us. The establishment has repeatedly taken decisive action to silence figures like Martin Luther King and Malcom X, the Black Panther leaders and any other powerful orator capable of drawing a crowd and fanning the flames of righteous indignation. Popular leaders and effective journalists were, and continue to be, systematically exterminated to prevent any uprising capable of opposing the status quo in a meaningful way. Leaders whose popularity and notoriety protected them from assassination were imprisoned instead. One such leader was, and is, Mumia Abu Jamal. Mumia’s incredible story chronicles an ineffable journey from gifted broadcast journalist working the streets of Philadelphia, to death-row author whose books have made him perhaps the most famous prison inmate of modern times. Assessing the reason for Mumia’s incarceration, a thorough examination of the historical record demonstrates not only that the evidence for Mumia’s guilt simply does not exist, but that the state framed him in 1981 explicitly to shut him up. Accepting life in prison as an opportunity to write seven bestselling books, today his very existence challenges our beliefs about freedom of expression. But in order to properly understand this brilliant writer, we must come to grips with the modern American Gulag, which brings me back to the fastest growing industry in the American Empire. The truth is that Mumia’s story is not exceptional. Leonard Peltier’s story shares an eerie parallel. Both men were imprisoned for crimes they did not commit, but because they were well spoken and socially adept, it was politically advantageous to imprison them and make examples of them. While we were distracted with Game of Thrones and Call of Duty, our country has transformed into a the dystopia that American’s have repeatedly denied would ever happen here due to the delusion of American Exceptionalism that refuses to acknowledge that seeds of corruption could ever germinate in the U.S. For those who say “it can’t happen here,” we need but simply recall the internment of Japanese Americans in 1942 to recognize that it has happened here already, and is happening on a daily basis courtesy of a $75 Billion per year industry that garners profits for shareholders based on how many people are in jail. And now with the advent of “Guaranteed Occupancy Agreements,” if prisons fail to fill the beds, the taxpayers bear the burden. “It can’t happen here” is a sentence uttered in ignorance of the American Government’s bombing of Philadelphia neighborhoods on 13 May 1985. “It can’t happen here” is a perspective of wishful thinking that ignores the Waco siege in Texas of April 1993. “It can’t happen here” is a fantasy that outright ignores the writing on the wall provided to us by the likes of Edward Snowden, Bradley Manning, Julian Assange, Karen Hudes, Sherry Peel Jackson, and countless other whistleblowers. We can no longer afford the luxury of apathy that drives us to blindly accept this as “just the way things are” by perpetuating the lie that “it can’t happen here.” The more we ignore it, the worse it will become. Until we realize that the militarization of police nationwide is nothing short of the inception of an American Gestapo that sees the citizen as the enemy, increasing numbers of our children will attend Con Colleges and Gladiator Schools, or worse. Even if we embrace the immature thinking that the people in prisons deserve to be there, someday most of them are going to get out and rejoin society, conceivably. When they get out, if they haven’t dealt with the internal strife that led them into prison in the first place, they’re more likely to return to prison, end up homeless, or commit suicide than effectively reintegrate into society. Jobs are already difficult to find, but try finding a job if you’re a convicted felon. The state refers to the Gulag euphemistically as the “Department of Corrections” but nothing remotely corrective happens behind bars, because there is no profit in seeking solutions. It is not in the monetary interests of this machine to allow inmates the social mobility to leave the prison system once they’ve ventured inside it. This problem is exacerbated intensely by America’s modern paradigm that sees Prisons as a Business, which is a major reason why the number of incarcerated Americans has multiplied by several orders of magnitude and rates of recidivism have soared over the past few decades. Its all on track to follow the Capitalist “Infinite Growth” paradigm until and unless something significant finally stands in its way. In 2010 I spoke with a young man named Daniel who worked for the organization Students for Sensible Drug Policy (SSDP). Despite the escalating drug war, Daniel was confident that the future looked hopeful. His positive outlook centered on how Baby Boomers would react to their children going to prison; that when they inevitably witness what is happening to their progeny, it would be inconceivable to allow this to continue. Daniel’s analysis couldn’t have been more lucid, and illustrates perhaps the only way to turn this around before it’s too late to reverse the Southward trend down tyranny’s slippery slope. The voting public are by and large comprised of elderly citizens, who were sold today’s America on the promise that they needed to be kept safe, which meant being tough on crime, and being tough on crime meant expanding the Prison Industrial Complex. Now that our parents can no longer ignore how the jagged teeth of this system tears their children apart, the dinner table conversations couldn’t be more necessary. There has never been a time when it was more important to turn the television off, put the cell phone down, and engage. We stand at the edge of oblivion, and whether they’ve been hypnotized by the media or not, whatever the mass of people deem as acceptable is what will prevail. We can no longer afford to maintain a mentality of apathy, complacency or indifference when it comes to America’s Prison Industrial Complex. America’s mainstream opinions are anchored in the facade of carefully prepared sound-bytes designed to prevent discussions by fueling bigotry concerning those who question or condemn the status quo. If, for example, you dare to question the intention behind the reality of modern warfare, droves of unconscious masses declare that you’re demeaning the brave soldiers that have fought and died for your freedom. If you dare to propose that river waters are more important to the health of unquantifiable life forms than a pipeline that threatens to pollute it, hoards of consumers condemn you as radical, leftist, environmentalist scum obviously trying to destroy our economy. 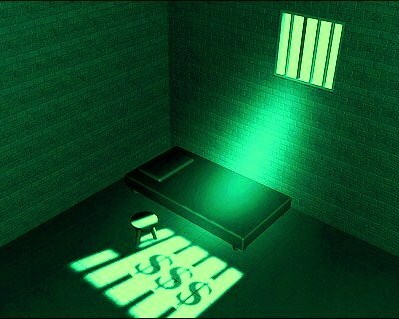 In exactly the same way, if you dare to question the practices at work inside our Prisons, you’re denounced by the mob for putting all of our communities at risk by letting evil off the hook or taking sides with the ‘evil doers.’ Such obtuse opinions fail to acknowledge how evil it is to exploit the world to obtain a few fleeting crumbs from the sands of impermanence. But by and large many have enjoyed the luxury of remaining blissfully unaware of the state of the country, until we arrive at the point where we are now. There have been so many arrests, and now so many people are in prison, and the police corruption has reached such fever pitch, that these issues have become all but impossible to ignore. But many American’s continue to struggle with the great difficulty of juxtaposing ‘American Exceptionalism’ with the state of America as it is today. It’s perfectly natural in such a situation to wonder how this is possible in the freest and most prosperous country in the world? Unfortunately, despite what we’re routinely fed through the media, not only is America not the freest or most prosperous country in the world, there is a growing consciousness which recognizes the warning signs that we may be goosestepping our way into yet another repetition of history. Militarism is one of the chief factors in the triple threat to American liberty that Martin Luther King warned us about. And it continues to march through our society claiming the lives of Trayvon Martin, Michael Brown, Rumain Brisbon, Tamir Rice, Akai Gurley, Kajieme Powell, Ezell Ford, Dante Parker, John Crawford III, Tyree Woodson, Eric Garner, Victor White III, and Yvette Smith just to name a few of the black men executed by law enforcement officers within the last 12 months. The atmosphere of police murders today is such that Americans are 8 times more likely to be killed by a cop than by a terrorist. There are very good reasons for sending people to prison, and they include war-crimes and money laundering. Unfortunately no war criminal guilty of genocide and no banker guilty of embezzling the world’s economy faces so much as a shred of justice. Meanwhile our institutions habitually send millions of people into the hell of prison because they changed the state of their consciousness – an act that harms no one but potentially themselves. The masses go along with this scheme because it is easier in the short term to punish people than to take the steps necessary to heal them in a responsible way that will last. Perpetuating the pain of people that most often grew up in very painful circumstances is only going to maintain this new slave-class – which is, of course, the goal of the ownership-class. Providing meaningful programs to heal deep psychological wounds and guide personal responsibility, education and self-progression would provide new-found strength that could ripple out into our communities and culture. A transformation is possible, but requires our participation and dedication to a radical paradigm shift that embraces compassion-based solutions instead of profit-focused punishment. As long as monetary incentives to lock people up persist, the ownership-class have no reason to change course from their present trajectory, though they may use words on occasion to admit they are aware of the depravity of the situation, as Charles Koch has. This industry is too profitable to abandon, and private prison industries have spent tens of millions of dollars sending their lobbyist armies to Washington to secure their bottom line. We must also recognize how the deliberate use of legalese to distort language and thereby coerce the population into consenting to unjust statutes makes us as liable for the present situation as those who have recognized how to exploit it. If we are honest with ourselves about the present income inequality that has now reached fever pitch, it is simply a continuation of exploitation on behalf of the ownership class who reap the benefits from people of modest means who, for whatever reason, willingly consent to their own enslavement because they mistakenly believe they are free. The true success of this system lies in America’s routine acceptance of it. It is accepted because, “if we hope for that we see not, then do we with patience wait for it” (Romans 8:25). Americans see themselves not as an exploited proletariat, but as temporarily embarrassed millionaires, and in dreaming for carrots they will never grasp, have rendered themselves docile for the duration of their lives. Alexandria “Rain” Smith is a poet, artist, and host of the Outer Limits.